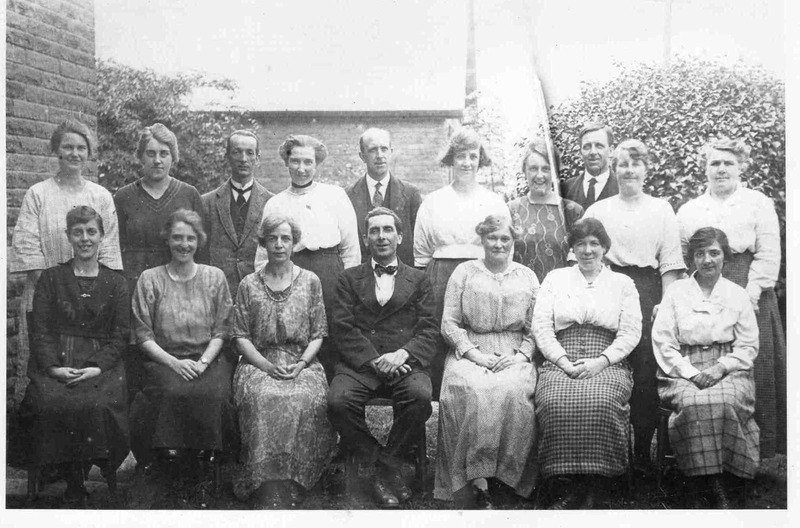 Teachers at the Council School. See note below. Photo courtesy of V. Hopkinson. Teachers at the Council School. Seated: May Whiteley, ? ?, Mr G. C. Oldham, ? ?, Dolly Shadwick. Standing: Miss Merrick, Mrs Briggs, Mr Davies, Miss Newell, Mr H Fenton, ? ?, George Jones.